The watering is done with sprinkle system and fountains both to the plants and to the birds to harden them off and help them develop healthy coat to survive the winter. 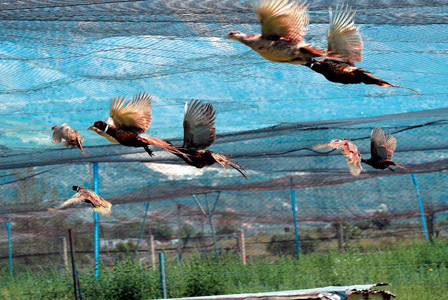 Approximately 100.000 birds are being produced every year by our farm. We set free about 40.000 birds of which the 30.000 are consumed at hunting.